Demand For Sports Betting Data Knows No Bounds. That's A Problem. Editor’s note: This is Part II of a three-part series on prevailing trends regarding sports betting data in the global marketplace. Read Part I here. An offshore betting website popular with U.S. customers, however, acts less swiftly, based on another source of data. For oddsmakers and bettors monitoring in-game lines, the disparity is stark. Though the official league feed and the U.K. book account for the score change immediately, the offshore book ends up operating on a delay of roughly six to eight seconds. Ultimately the site posts a total of 234.5 points, a considerable difference of three points above its U.K. counterpart. In the eyes of a knowledgeable industry executive, the delay provides a clear indication that the offshore website received “scraped data,” from a third-party supplier. As professional sports leagues seek compensation from sportsbook operators for access to their official betting data provided by third-party suppliers, unscrupulous companies in the ecosystem have developed methods to scrape, or pilfer, data from suppliers that have spent millions to partner with sports leagues in the U.S. and internationally. That six to eight second lag does not appear to be a latency issue, but rather a delay that typically arises when a website uses pirated data, according to the executive. The executive is confident that the site received scraped data since he suspects that the supplier also poached data from his company in a similar manner. 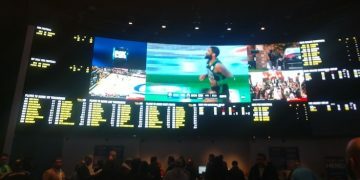 The sequence, which occurred in the Celtics’ 126-120 win March 14, underscores a growing concern in the sports wagering industry as leagues secure partnerships with multi-national casinos and data providers. How valuable is official data when a rogue actor can easily steal odds from a reputable book and sell the lines for as little as $5 per game? Even more troublesome, can legal U.S. books compete on a level playing field with offshore sites that mostly escape penalties for obtaining stolen betting lines? “If offshore books are still operating without sanctions, and if you cut off the official data supply to them, it’s like ‘shutting off the gasoline that powers the engine,'” another industry expert said. Conversely, other sports gambling executives with C-level experience have downplayed some concerns related to the offshore market. Although sportsbooks domiciled outside the U.S. may not offer robust consumer safeguards as in regulated markets, engaging with offshore sportsbooks may not be as perilous as it seems, they argue. Otherwise, those sites which have remained a fixture in the offshore market for years would have already closed operations. The cream has risen to the top, while disreputable sportsbooks have perished. Data leaders expand reach in U.S.
We're back at @ICE_London_Talk today, talking all things betting and gaming at stand S1-150. Less than a year after the Supreme Court’s historic ruling changed the face of sports gambling in the U.S., a select group of companies have emerged as the major players in the sports betting data market. When a legal, regulated sportsbook receives a comprehensive data feed to power its operations, there’s a good chance the data is being supplied by one of four companies: Sportradar AG, Genius Sports, Don Best Sports and The Perform Group. A host of smaller companies such as Europe-based L Sports, Continent 8 and BetConstruct also keep a presence in the market. Betradar, a subsidiary of Sportradar, maintains more than 600 partnerships with bookmakers in over 80 countries, across five continents, according to the company’s website. The list includes renowned sportsbooks such as: U.K. headquartered Bet 365, Lagos-based NairaBet in Nigeria, The Hong Jockey Club and Intralot, a Greek company that provides sports betting management to state-licensed gaming organizations worldwide. Back in the U.S., Sportradar’s profile and portfolio continues to grow. In November, the company secured an agreement with MGM GVC Interactive to serve as its exclusive provider of sports betting data from certain U.S. sports leagues which Sportradar has the right to distribute. During the last 12 months, via quasi-marketing deals, MGM has gained access to the official data feeds of three major professional leagues — the NBA, NHL and MLB — through non-exclusive sports betting partnerships. MGM GVC Interactive, a joint venture between MGM Resorts International and GVC Holdings PLC, was formed last July, according to the companies, to capitalize on new opportunities created by the U.S. legalized sports betting market. Sportradar, meanwhile, maintains partnerships with the NFL, MLB, NBA, NHL and NASCAR among others. Last fall, Sportradar and Genius Sports entered into a partnership with the NBA to distribute the league’s official sports betting data to licensed sportsbooks in the U.S on a non-exclusive basis. The announcement came several years after Sportradar secured the rights to distribute real-time NBA data to gaming operators outside the U.S. as part of a reported $250 million deal with the league. Sportradar US, the U.S. branch of Sportradar AG, was rebranded in December 2013 after the company’s acquisition of SportsData, LLC. While Sportradar emphasizes that it cannot control the actions of the third-party businesses it partners with, it can control the consequences of those companies’ inability to meet what it considers rigorous standards. As such, Sportradar works with an independent consulting firm to constantly monitor its clients. When identifying potential breaches of the company’s terms and conditions, including unregulated offshore books servicing U.S.-based clients, Sportradar uses various tools, such as a vetting process that may include thorough background and customer registration checks, and third-party penetration tests. If a bookmaker engages in illegal behavior, we take prompt action to fact-find, investigate, and remedy the situation – this includes termination of a business relationship. We constantly monitor and independently test our clients to ensure they meet these clear requirements. We have terminated relationships with several bookmakers who have failed to meet our compliance requirements in recent years. When asked what is the likelihood that Betradar or any other subsidiary of Sportradar has engaged with an offshore operator in an unregulated market without Sportradar’s knowledge, with data provided by subscription or otherwise, Sportradar referred to its same response above and aforementioned policy. Now that a sleeping giant has awoken in the form of a growing U.S. sports betting market, after a Congressional-induced slumber in 1992, there’s a huge opportunity for a company that first made U.S. inroads in Nevada several years ago. But while Sportradar and its counterparts now forge deals at breakneck pace with formerly anti-sports gambling leagues that purport to have integrity as the top priority, what do the leagues make of possible simultaneous engagements between their official data suppliers, and sportsbooks operating in black or gray markets? But despite legal restrictions, sports betting is widespread. It is a thriving underground business that operates free from regulation or oversight. Because there are few legal options available, those who wish to bet resort to illicit bookmaking operations and shady offshore websites. Dipping toes in both waters? "We are excited about the opportunities that this partnership will unlock." We've today announced a wide-ranging, multi-year partnership to enhance and expand distribution of @MLB's real time game statistics around the globe. Sportradar has an expansive global reach, but the true extent of its forays on the unregulated offshore market remain unclear. A source with knowledge of Sportradar’s operations is not positive whether or not the U.S. branch provides data to offshore betting websites that service American customers. He is also not certain if the parent company, Switzerland-headquartered Sportradar AG, has had dealings with sportsbook operators located in offshore jurisdictions. Others in closer proximity to the Caribbean, may have a better grasp of the market. 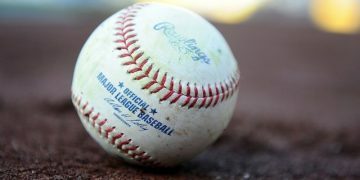 In the wake of Sportradar’s announced deal with Major League Baseball in late-February, industry participants in an offshore nation with a considerable sports betting presence discussed sportsbook relationships with Betradar. Although the sample size is small, the results are telling. Representatives from two companies said their sites used Betradar’s data feeds in the past, but are not receiving data at present, in part because they find another supplier to be superior, a source said. A third individual is fairly confident that his company uses Betradar data, but was not 100 percent certain, and remarked that almost all offshore sportsbooks use multiple data sources for reference. Finally, an employee from a fourth offshore website claims that his company has never received a data feed from Betradar. Though Betradar has provided data to Bodog sportsbook and others in the past, according to the source, he is unsure on the current relationship between the companies. Costa Rica International Sports, more commonly known as Betcris Sportsbook, is currently on Sportradar’s list of clients, according to a spokesman for Sportradar. Sportradar confirmed with senior management at Betcris that they stopped servicing U.S. customers in early-2007, the New York Times reported last July. While officials from the New Jersey Division of Gaming Enforcement (DGE) have said little on the ecosystem pertaining to the distribution of sports betting data to sportsbooks outside the U.S., the agency has expressed significant concerns on the magnitude of the offshore market and its potential to impair New Jersey’s nascent but quickly growing market. As late as 2017, Eilers & Krejcik Gaming forecasted that offshore books earned somewhere between $2.5 billion and $3 billion annually from illegal sports bets made by U.S. customers, Forbes reported. New Jersey DGE officials have urged regulators and the pro sports leagues to work in collaboration to tackle issues posed by the offshore market. Not just data, but marketing and promotion as well. Earlier this year, the DGE prohibited state residents from gaining access to OddsShark.com, after the agency discovered that the company had promoted three offshore betting sites — Bovada, BetOnline and 5Dimes — on its website. The website remains inaccessible to residents inside New Jersey. Months earlier, DGE director David Rebuck warned that the division would crack down on vendors providing goods and services to the legal marketplace, while simultaneously engaging in activities that results in their products being distributed to black or gray markets. There are strong indications that third-party suppliers in the past may have provided sports betting data to Bovada, BetJoe.com, BetOnline and Pinnacle, according to sources. Although the leagues have eagerly promoted sports betting agreements with casinos in recent months, they have been more reluctant to discuss data partnerships with companies like Sportradar. The leagues have also remained on the sidelines on issues regarding data distribution to offshore sites. Whereas a legal, U.S. sportsbook does not have the manpower to staff an expansive trading team, many of their offshore counterparts have established desks with a multitude of oddsmakers. It is customary for such an individual to monitor the in-game action on two to three contests per night, sources say. Many U.S. books do not have the luxury. Given the fast-paced nature of in-game betting, a bookmaker is often forced to make a split-second decision on whether to take action on a certain bet. A number of books offshore own software with a tool for accepting a bet under a certain limit, in some cases around $1,000 to $2,000, according to an offshore source. While numerous books post limits on the stated amount that a customer can bet online, the bookmakers allow trusted customers to place over-the-limit wagers. At the drop of a hat, an oddsmaker can click on a player’s link and receive a snapshot on his historical betting patterns. Although an offshore site may post a limit of $2,000 for an in-game wager, a bookmaker may decide to accept an over-the-limit bet of say, $5,000, if he is satisfied with a customer’s profile. In many cases, the customer must pay a premium for the preferential treatment. Take a top five matchup in the ACC Semifinals between Duke and North Carolina, for instance. Instead of receiving odds on the Blue Devils (Minus-3) at a fixed price, a customer will be presented with a package containing three separate layers: $2,000 at Minus-3 (even), $2,000 at Minus-3 (-115) and $1,000 at Minus-3 (-120). By transacting with an offshore operator, a customer may be able to wager an amount that often exceeds the limits offered by a book in Las Vegas or Atlantic City. It is rare for sportsbooks in the U.S. to allow four-figure limits for contests on the in-game marketplace, multiple sources said. 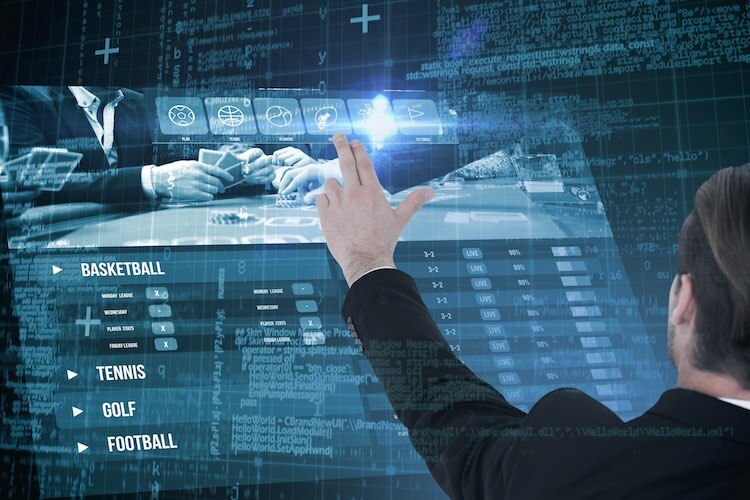 An offshore sportsbook may gain another edge on legal operators if the latter is mandated to use official data from the leagues. Pending legislation in several states could require legal operators to spend thousands of dollars for official data feeds. These bookmakers are not encumbered by the regulatory constraints placed on legal U.S. operators. While Sportadar already has 90 percent of the market share in New Jersey, according to Sportradar US president Matteo Monteverdi, legislative mandates on the usage and purchase of data from select partners would put sportsbooks at the mercy of lawmakers and the definition of “commercially reasonable terms.” Such requirements may also raise significant anti-trust issues. Lawmakers in various states have flagged such concerns during public hearings. Meanwhile, as lawmakers in two dozen states toil over whether and how to legalize sports wagering — no new state has legalized in 2019 — the offshore market continues to serve millions of U.S. customers who have no legal options, among them the four most populous U.S. states: California, Florida, New York and Texas. “It should not be forgotten that the majority of sports betting still takes place in the off-shore markets,” said Dr. Laila Mintas, chairwoman of the advisory board at Bet.Works, a U.S. based sportsbook technology platform supplier. Before accepting her current appointment, Mintas served as deputy president of Sportradar US through Dec. 2018. Thus, an expansive market remains, outside the U.S., needing reliable data just the same as regulated U.S sportsbooks. Whether sportsbooks in this market pay for the data, or scrape it, and whether the sports leagues have knowledge of certain relationships with “shady offshore websites,” or have urged the cessation of such arrangements, if they exist… well those are questions and business decisions that will persist.